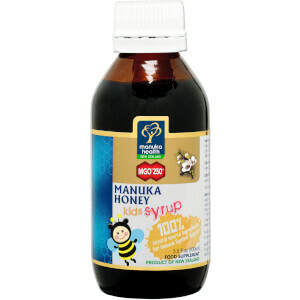 Manuka Health MGO 250+ Children's Manuka Honey Syrup is a completely natural syrup with a sweet liquorice flavour. The product contains no alcohol and is specially formulated for children over 12 months of age. The syrup contains a blend of premium Manuka Honey and natural herbal expectorants that work to soothe and support the throat and chest. 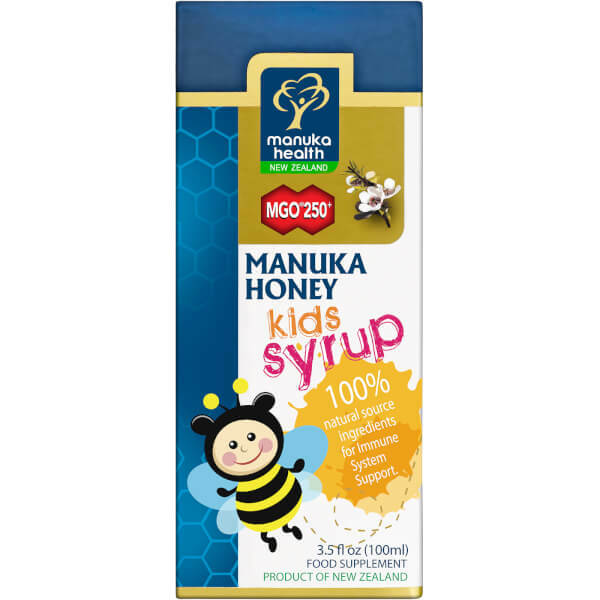 MGO™ 250+ Manuka Honey is 100% natural and has effective and reliable antibacterial properties due to the naturally occurring, active compound Methylglyoxal. Take 5ml (1 teaspoon) 1-4 times daily.